If you’ve watched my TV shows (the latest one is Project Smoke on American Public Television), you’ve likely noticed I always emphasize that the quality of your food is at least as important as how you cook it. On the show, we use the best meat. The best produce. The best seafood. This dedication to quality extends to other ingredients as well. An example? 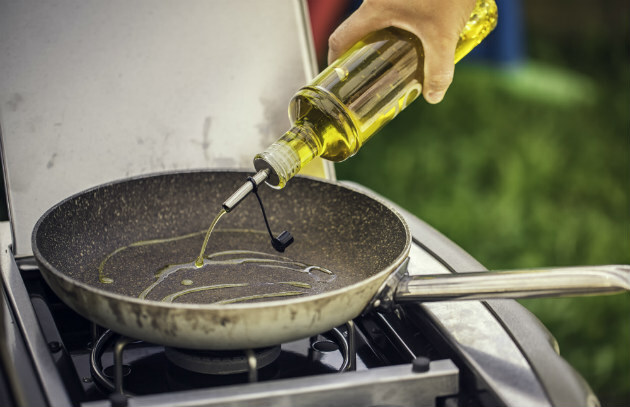 Premium extra virgin olive oil, which you’ve likely noticed on the set, is a staple in my cooking and grilling life, a “desert island” ingredient like salt or pepper. 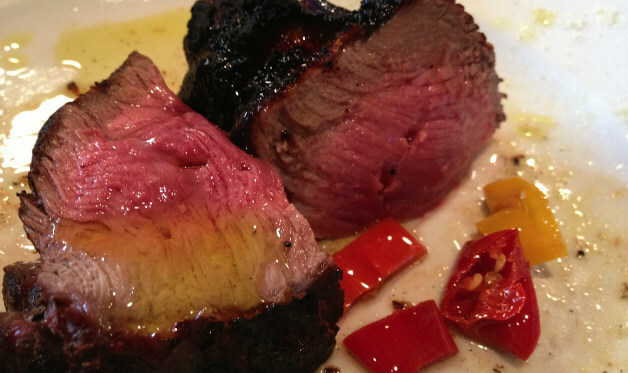 It’s a critical component in sauces, marinades, bastes, and wet rubs. I also drizzle it over meats (it mingles with the natural juices to make board sauces), roasted vegetables, and grilled breads and salads. I can’t imagine bistecca alla fiorentina without it, and often use it to keep fish and chicken from sticking to the grill grate. Unlike vegetable oil, it adds flavor—and successful pit masters are always looking for ways to add flavor. But I realized several years ago that I was leading an uncertain and impoverished olive oil life. My olive oil world changed when my longtime assistant, Nancy Loseke, who trained in sensory perception at the Robert Mondavi Olive Center at UC Davis and who has sampled thousands of olive oils, introduced me to the good stuff! The mind-blowing bottles of fresh-pressed olive oil she brought to Barbecue University snagged Larry’s attention, too. Today, my kitchens (indoor and outdoor) are stocked only with extraordinary extra virgin olive oil. And the responsibility for picking it is off my shoulders. How does that work? Quarterly, the Fresh-Pressed Olive Oil Club (see the link below) sends three bottles of the world’s best fresh-pressed extra virgin olive oils (verified as 100 percent extra virgin by independent labs), hand-selected by “Olive Oil Hunter” T.J. Robinson, and rushed to the U.S. by jet from the planet’s best producers. Nancy was actually one of the founders of this unique club. Now, T.J. has generously offered to give subscribers of my newsletter and visitors to my blog access to the same oils for only $1. You’ll receive a retail-size bottle of one of his “finds,” and in the process, will discover a universe of olive oil you never knew existed. Access to this trial subscription to the Fresh-Pressed Olive Oil Club (you can cancel at any time) will end on February 18, 2017. Click here for more on this offer.